Gail Lukasik, award-winning author of the Leigh Girard mystery series set in Door County, Wisconsin, will be one of the featured authors at the second annual AuthorFest book festival at the Round Lake Beach Cultural and Civic Center. 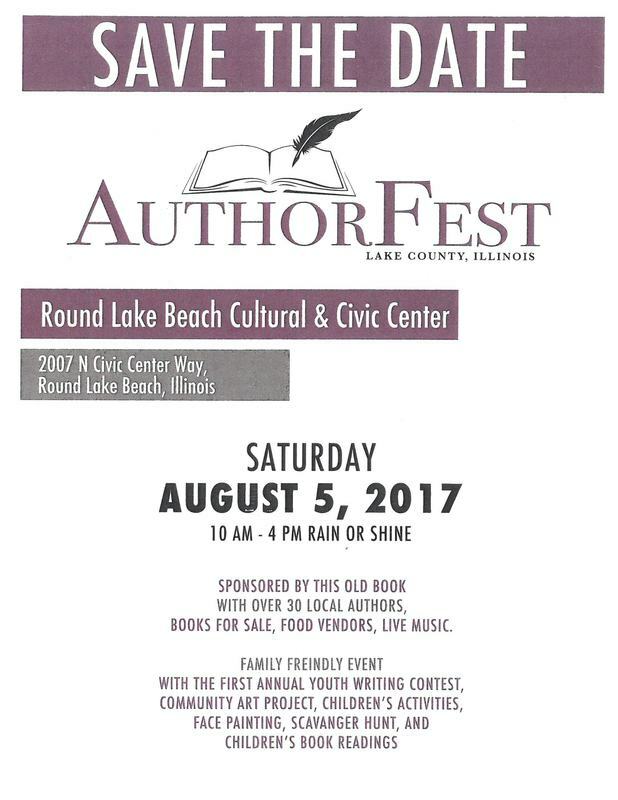 The family-friendly event, sponsored by This Old Book in Grayslake, welcomes visitors to meet and buy signed books from more than 35 local authors who write in various genres. Visitors can also participate in a community art project hosted by Grayslake Art Alliance, a raffle, and a scavenger hunt. Kids’ activities include children’s book readings and free face painting. Live music by The Gardiner Jazz Combo and Here Comes Summer, and food vendors will be available. Young writers, ages 4 to 18, are invited to enter their work in the AuthorFest’s Young Creative Writing Contest. Finalists will be featured during the festival. For more information on AuthorFest, visit thisoldbook.com/Authorfest.html.